Samsung Electronics, after posting more record profits in the third quarter driven by strong chip performance, said it would further invest in memory chips next year, despite some market concerns about oversupply. Samsung said Tuesday it posted revenue of 62 trillion won ($55 billion) and an operating profit of 14.5 trillion won, a 30 percent and 179 percent rise respectively on-year. Nearly 70 percent of the operating profit came from its memory chip unit that posted an operating profit of 9.96 trillion won with the profit margin of 50 percent. The world’s largest chip maker was also upbeat about the coming quarter and the coming year in its DRAM and NAND. 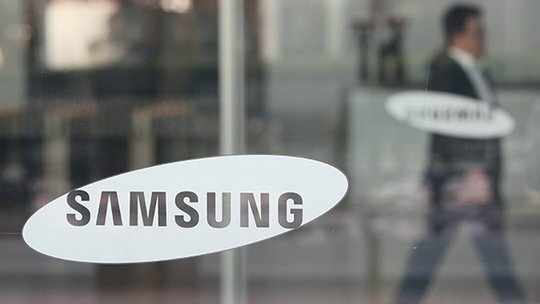 Samsung said there would be high seasonal demand for mobile and personal computer DRAM and continued strong demand for NAND for high-density mobile products and the expansion of data centers in the fourth quarter. Samsung said next year’s figures would also be strong. “Demand for memory chips will be fundamentally solid in 2018 due to rising demand from cloud servers, machine learning and artificial intelligence technologies,” Cheon Se-won, a senior vice president at Samsung’s memory unit, said during a conference call in response to a question on market concerns about oversupply. Local securities firms, including Korea Investment & Securities and Samsung Securities, recently released reports saying memory supply may outstrip demand next year. Samsung still plans to nearly double its capital investments of 46.2 trillion won this year with 29.5 trillion won set aside for chips and 14.1 trillion won for display. The firm’s capital investments last year was 25.5 trillion won. Apart from the chip unit, Samsung is also betting on its display unit, in a move to focus more on parts than on its once-mainstay smartphone business. Samsung said its display unit posted 970 billion won in operating profit in the third quarter, a 4.9 percent drop year-on-year due to fierce competition in its money-losing liquid-crystal display business. However, both Samsung and analysts expected to see sales growth in the display sector in the following year due to increased adoption of organic light emitting diode panels from its US and Chinese smartphone competitors. OLED accounted for around 60 percent of the display unit’s sales in the third quarter and industry watchers expect this portion will increase from the fourth quarter with Apple’s adoption of OLED panels in its symbolic anniversary smartphone, iPhone X.
Samsung said it expects OLED products to become mainstream in the smartphone industry next year, especially as flexible panels increase within high-end devices. “Samsung’s display unit is now facing a ‘new world.’ When its flexible OLED sales take off, its quarterly sales will reach 10 trillion won and the operating profit will be over 2 trillion won from the fourth quarter,” said Kim Un-ho, an analyst at IBK Investment & Securities. As the chip supercycle propelled Samsung to another quarter of record-breaking profit, the tech giant has promised to pay around 29 trillion won in dividends to shareholders over the next three years. Samsung said it will increase annual dividends this year by 20 percent and 100 percent next year. The 2019 and 2020 dividends will also be kept at the same level with 2018.